U.S. crude oil inventories jumped 3.3 million barrels to 385.9 million barrels for the week ending March 22, according to an Energy Information Administration (EIA) report (link opens a PDF) released today. That's a 0.9% increase. While refinery inputs increased by 364,000 barrels per day (bpd), the main addition came from a 841,000-bpd spike in crude oil imports. Although inventories had dropped 1.3 million barrels the previous week, this newest report keeps inventories "well above the upper limit of the average range for this time of year," according to the EIA. 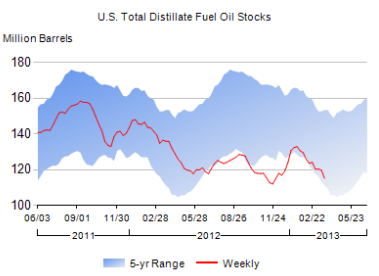 Gasoline inventories fell 1.6 million barrels, just more than the previous week's 1.5 million-barrel decrease. 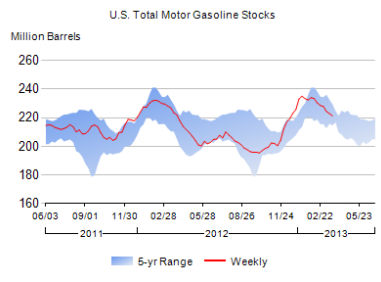 Unlike crude oil's oversized inventory, gasoline's supply remains within its average range. Prices at the pump continued their month-long decline, dropping another $0.016 for a national average of $3.68 per gallon. Leading the supply shrink, distillates fell a whopping 4.5 million barrels due primarily to a 5.8% year-over-year increase in wholesale demand. 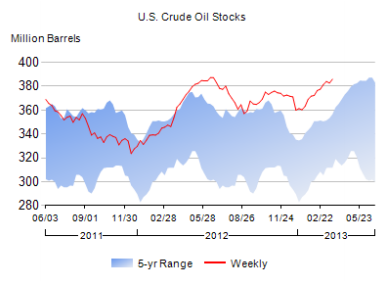 The article Imports Drive Increase in Crude Oil Inventories originally appeared on Fool.com.